Created with the support of the Edith Russ Haus and the Stiftung Niedersachsen. 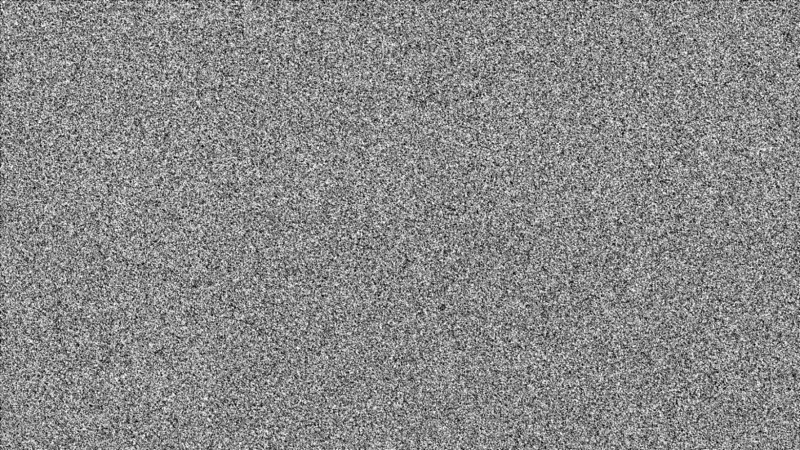 7 billion individual pixels cross the screen, each on its own path, at the rate of 1 million pixels per second, leading to a movie of a total duration of 1h56’40”. The movie is projected in very high definition on a screen with a larger-than-human size and above the eye level – cinema spirit, so as to physically confront the viewer to the flow. Each pixel crosses the screen from right to left in one second, giving a sense of high speed and urgency. The path of each pixel is independent of the others, so the flow seems animated by chaotic behavior with no overall organization while still reflecting the individual intentions of each pixel. There are 7 billion human beings on earth today. This artwork intends to physically confront the viewer to the mass of the whole humanity. 7 billion pixels reflects on the overwhelming challenge of making sense of this huge number of individualities all independent of each other, and all driven by individual intentions, desires and quests. It also questions the impossible dream of trying to control such masses, impossible but still happening every day, in many different political and social systems. It also confronts the viewer to his or her own free will and life story, lost in the middle of so many other free wills and life stories. It fosters humility, and at the same time, in such overwhelming chaotic environment, everything is possible, and freedom can exist.